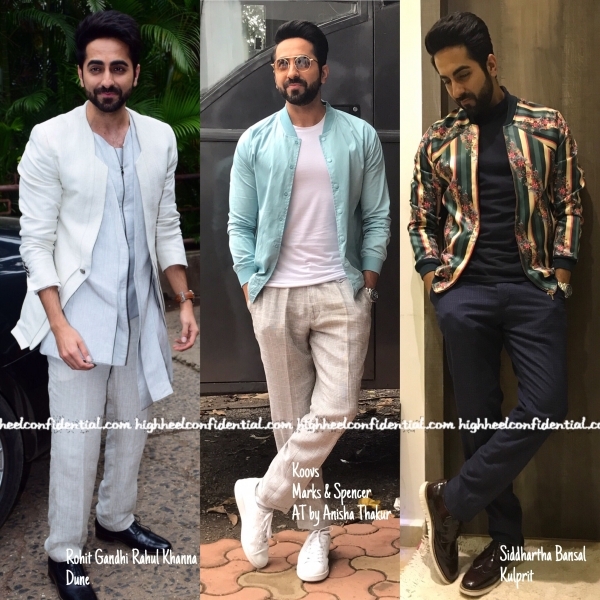 Ayushmann has been busy with promotions of his upcoming movie, Bareilly Ki Barfi. Of all his appearances, I liked the Rohit Gandhi Rahul Khanna one. My least favorite was the one in Koovs. Which look(s) are your favorite? did i hear it right? He looks so funny in Rohit Gandhi and Rahul Khanna… I do no even understand what that is he is wearing. and i actually like him in Koovs. It looks summery and casual. Love his sense of style….I have a soft spot for guys who wear linen, so the Rohit Ghandi and Rahul Khanna is my fav too. 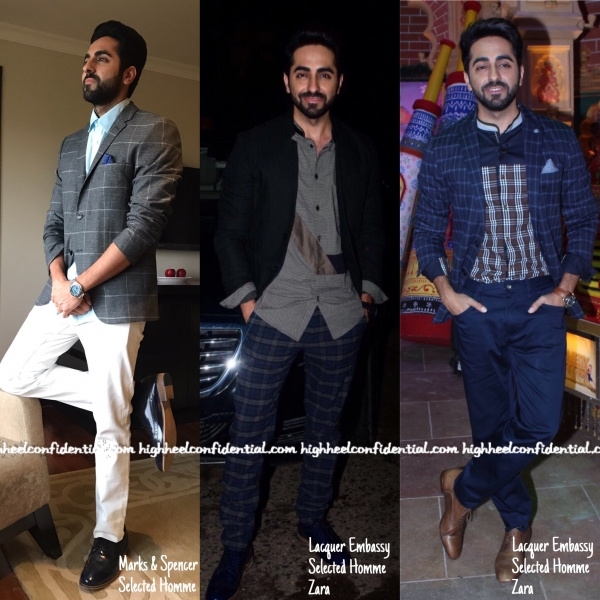 Ayushmann looks sharp! I like the Koovs and the Rohit Gandhi Rahul Khanna looks, because they are lighter and seem better suited for Indian summer. Dislike the Siddharth Bansal jacket, it’s too busy. The new menswear expert appears to have a very conservative taste in menswear in general. Not heard any interesting commentary till now. I think he looks good but my god I hate men who r too much into fashion !!!! I’m sure he takes more time to dress than his wife does too lol !! No matter what he wears, he ends up looking clownish. Maybe he has not yet found his personal style. And that RGRK outfit is atrocious.